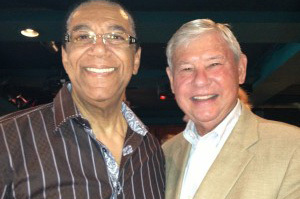 Terry and former Florida Governor and United States Senator Bob Graham shared a great afternoon at Mango’s in Las Olas in Fort Lauderdale. Politicians, musicians, local magazine publishers and club owners all came to support Frank Loconto of The CountyLine Public Policy Television Program and his music. Good food, good friends and music. It doesn’t get any better than that!